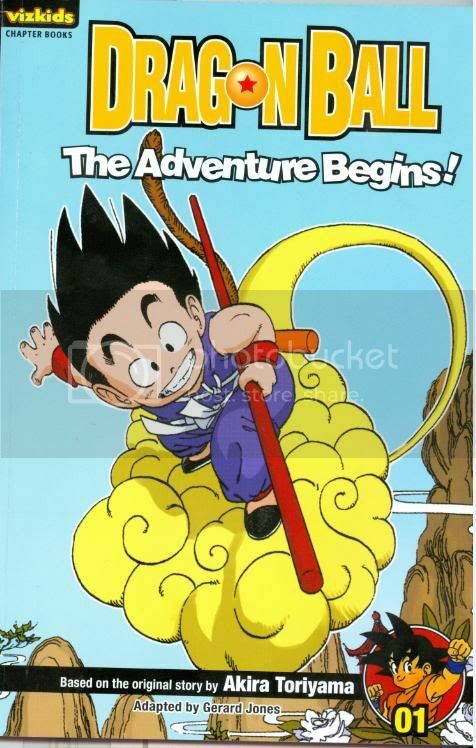 Dragon Ball Chapter Book Review (I’m sorry) | Welcome to "The Weasel's Last Fart!" I didn’t plan on getting this book but… here we are :?. So right off the bat you know this is a pretty stupid idea, just writing out scenes from the manga as if it were a story book or something. I really don’t know which release is more pointless, these books or the ani-manga. Actually, some people like the ani-manga cause it’s like a colored manga so I’m gonna say this release is probably more pointless. You know, the sad thing about this release is that the cover art is actually good. 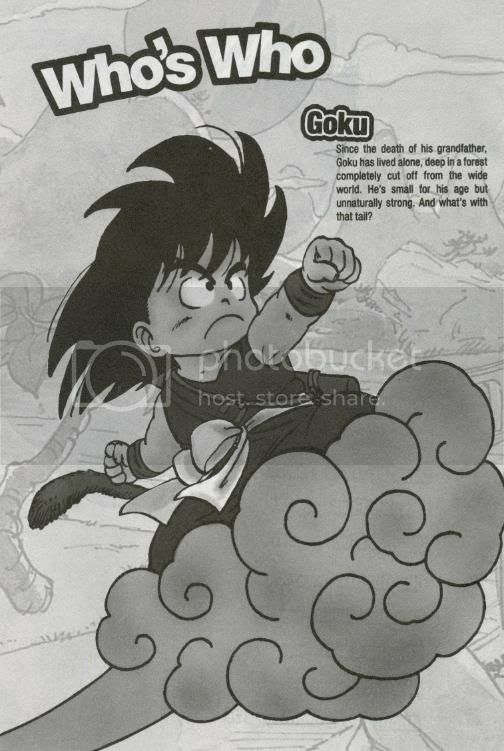 They should have had these as the viz big covers instead of just spinning a wheel of DragonBall art. It’s a little odd no? 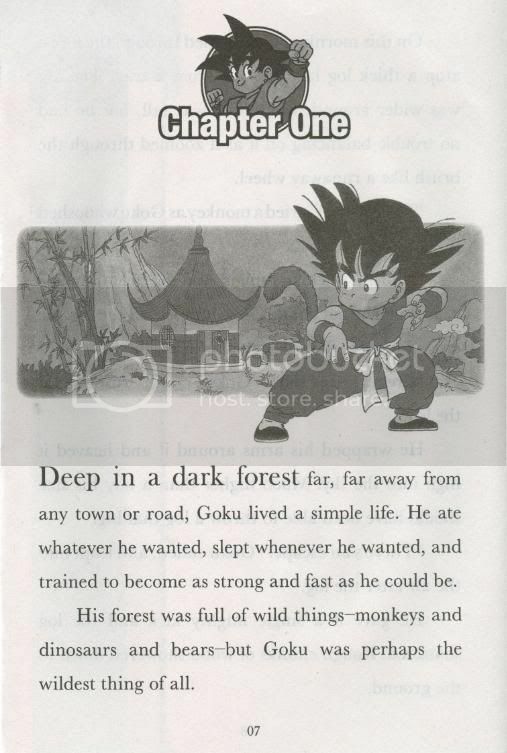 This is a chapter book for kids so I would assume they’d wanna dumb it down a bit. 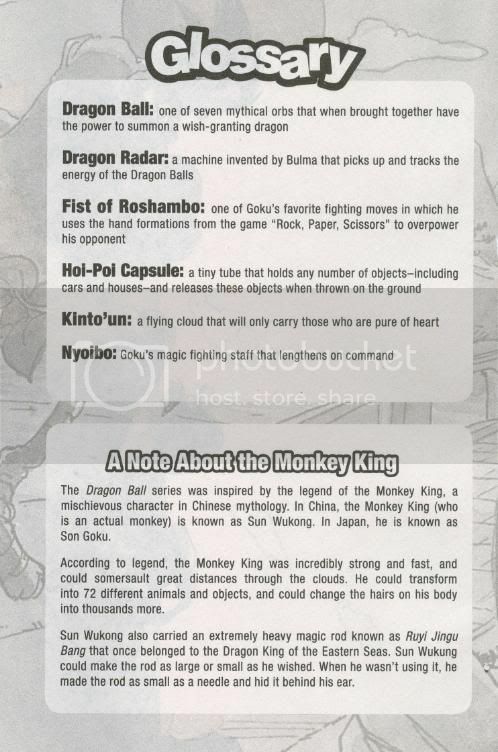 Why would they even choose to include the actual names for the DragonBalls? And yes, they do call them by the actual names in the book! 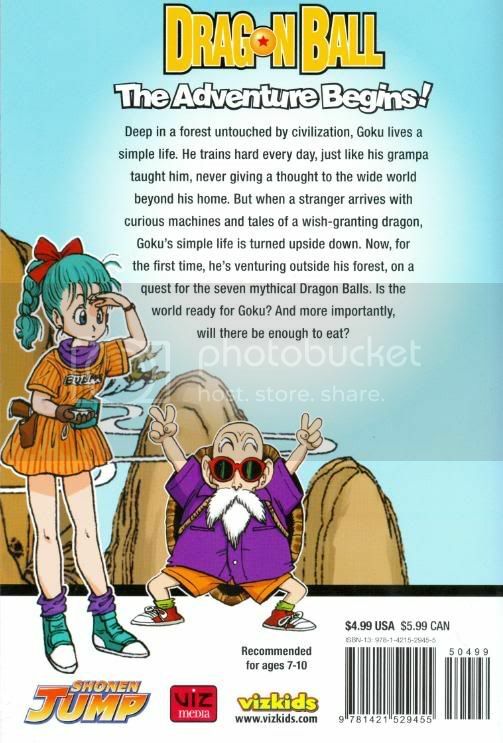 Another odd thing is Master Roshi is also known as Turtle Guy? But they don’t say Turtle Guy in the story anywhere, so why even say it? Oh well, mistake? Reading this book seemed tedious, even for a kids book. 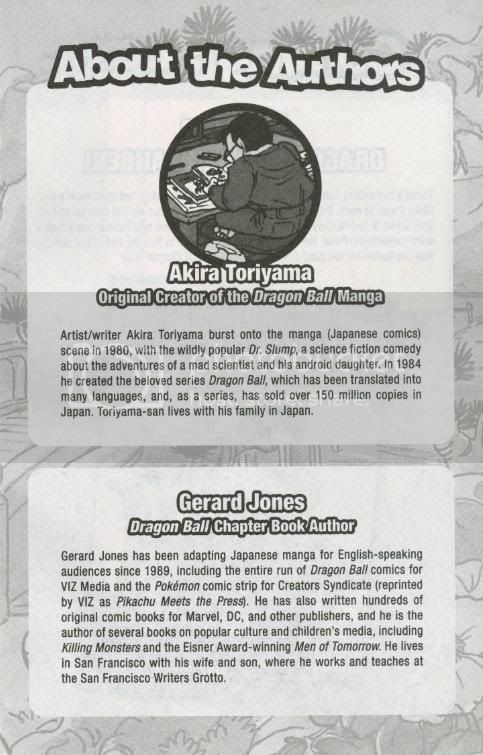 Look at this, these are the first few pages of the book. 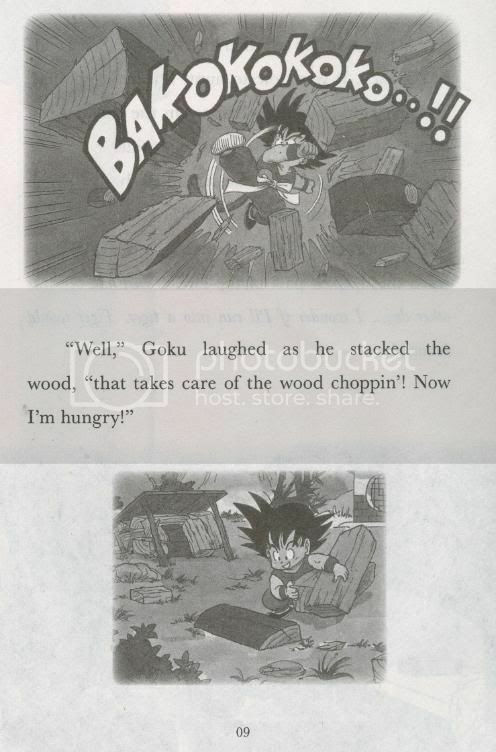 In this log chopping scene, we all know how this plays out but reading it is really annoying. 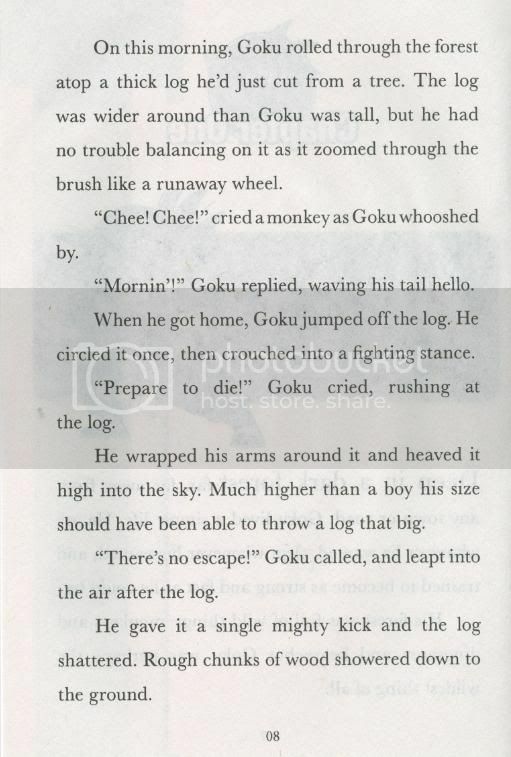 We all see the images from the manga or the anime in our heads while reading this, so why not just read the manga! Blarg! It’s like if someone went to a museum and wrote descriptions of what each painting looked like and made it into a book. It’s quite annoying. That’s about it. It’s pretty much what we all expected.